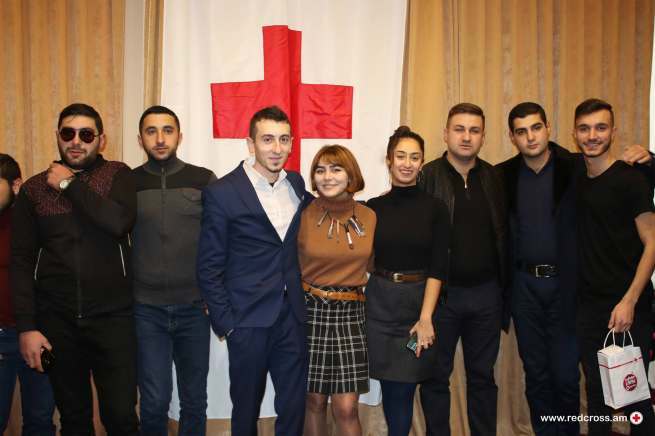 “The Red Cross is my Home”, “I’ve learnt a lot here, I’ve made so many friends”, “I am so proud to be Red Cross Volunteer”, “I am more responsible and caring person now, after being a volunteer”. 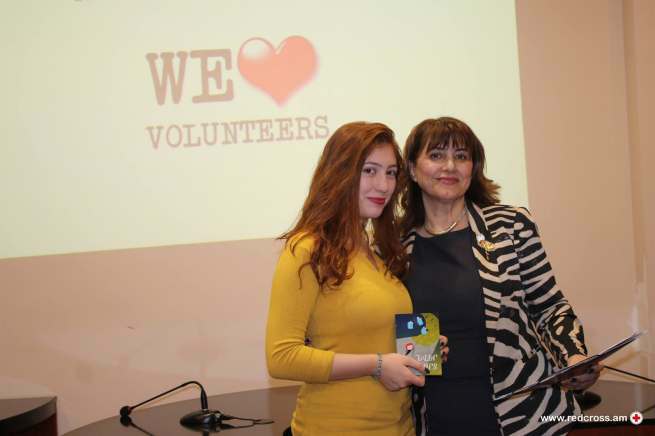 This warm words said by the volunteers to ARCS staff and each other, together with the wishes, prizes and certificates of gratitude made the celebration of International Volunteer Day the most remarkable day of the year for all of us. 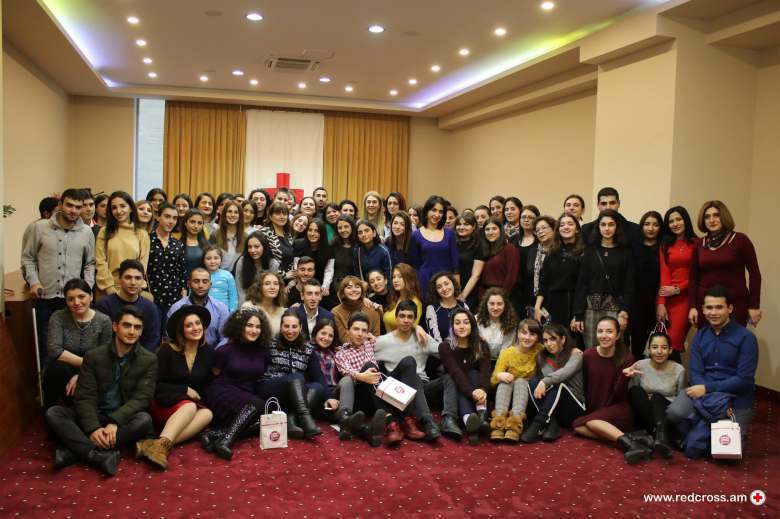 More than 100 active volunteers gathered in Yerevan from all over the country to sum up the achievements and successes, to socialize, to get to know each other and re-confirm once again the commitment to serve the humanitarian principles and values. 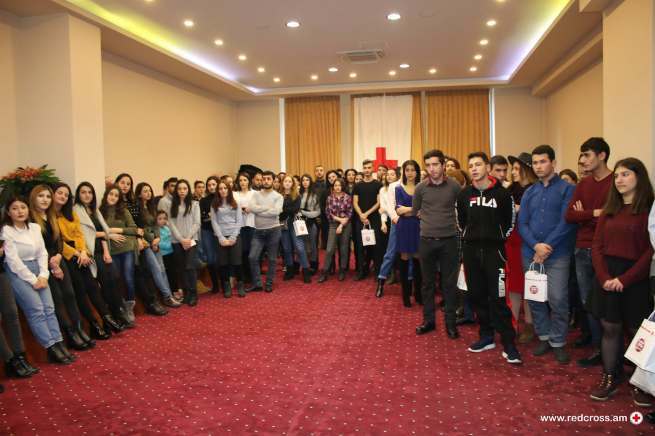 Every year 2500-3500 volunteers of Armenian Red Cross Society implement their humanitarian mission in all the regions of Armenia, providing psycho-social support, distributing humanitarian aid, conducting First Aid and Healthy Lifestyle training sessions, dissemination humanitarian values, etc. 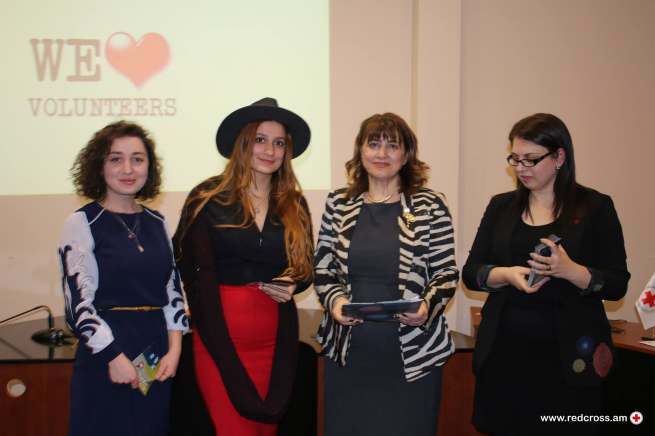 “Dear volunteers, I am glad to see all of you here to celebrate the Power of Humanity. 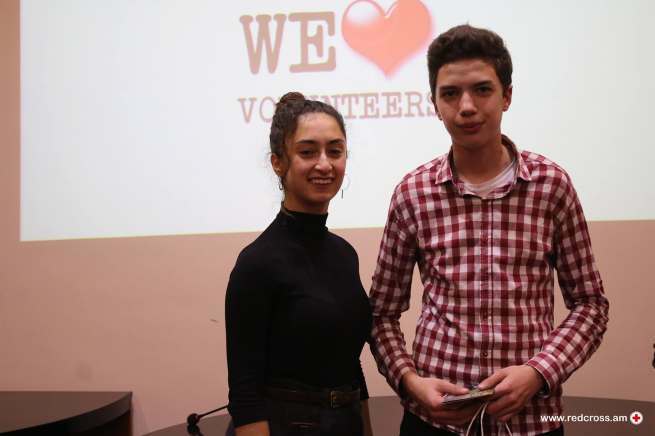 We are a voluntary organization, and the volunteers are the power we rely on. 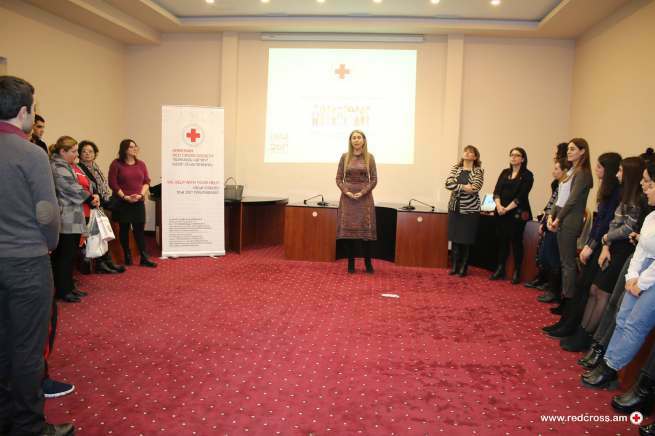 It’s impossible for us to implement our large-scale activities without your energy and commitment”. 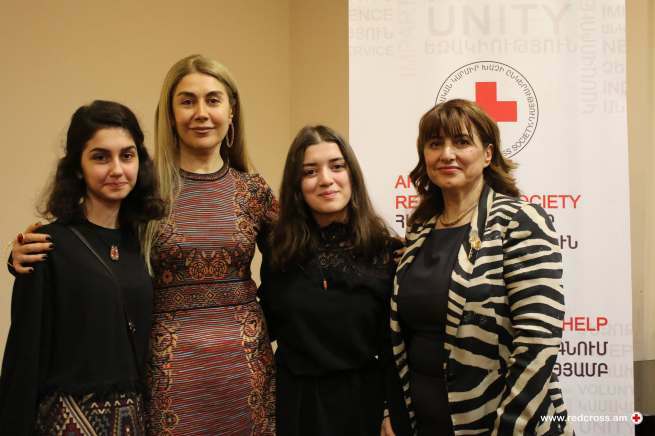 Active young leaders Ani Sayadyan, Lusine Avetisyan, Hripsime Hovhakyan and Vahe Salahyan, were awarded with special prizes. 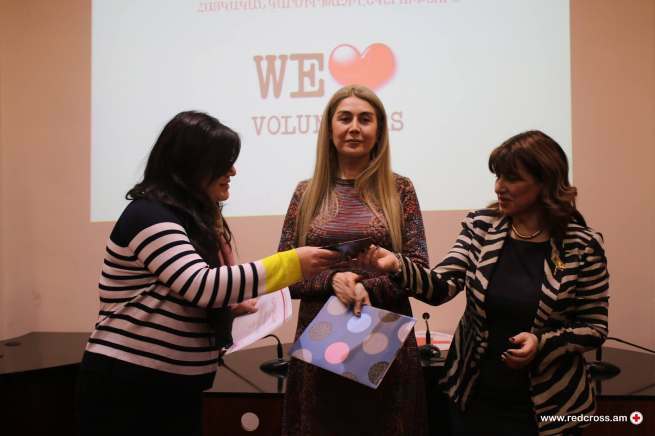 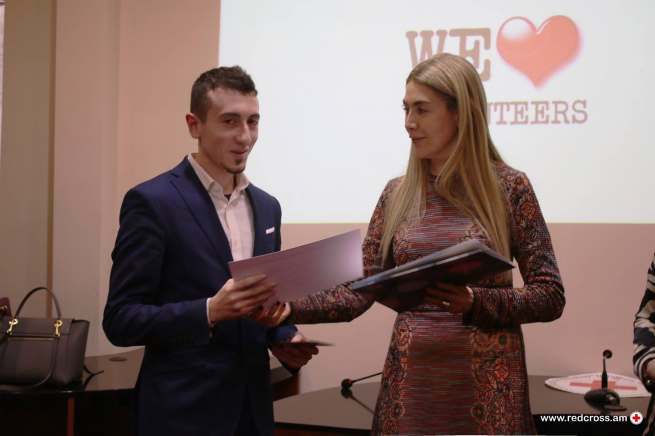 Sevan, Dilijan, Verd, Noyemberyan, Goris, Kapan and Vardenis community branches volunteers receives Certificates for new initiatives and selfless activities.